Thank you to all the readers and supporters of Fruit Tree Blog as we close out another year. Aging and shrinking populations in much of the developed world have a simple solution: young, able-bodied workers from developing countries. Recognizing the importance of trust and honesty in keeping the wheels of our economy churning. A Leftovers junkie learns to accept mystery when it comes to life’s great questions. 4) America has a race problem. What am I going to do about it? What we can do as individuals to help heal the disease of racism. Celebrating the young Baha’i musician’s success in an era of artistic cynicism. Here’s to 2016. Much love and Happy New Year to all. When I was in 7th grade, my classmate’s father died of cancer. He took some time away from school, and during that time, my mother encouraged me to express my condolences to him when he got back. Being naive and stubborn, I resisted. “I’ll be reminding him of the fact his dad died, and just make him feel worse,” I argued. My mother responded that I didn’t understand, and that people appreciate these gestures, however simple, when they experience loss. And besides, she told me, it was my duty to acknowledge it. To pretend that nothing had happened would be much worse. My friend eventually came back to school. In the days following, he tended to sit near the back of the classroom. He was more subdued and quiet than before, and rarely talked in class. I never expressed my condolences, or even acknowledged that he’d lost his dad. It’s hard to remember why, but I think I was scared of how he’d feel and how he’d receive the gesture. Maybe I was scared I’d say the wrong thing, say something stupid. I was reminded of this episode a couple years ago after a string of highly-publicized instances of violence against black people in America. It had been a depressing series of events, culminating with Eric Garner’s now famous “I can’t breathe” chokehold-induced heart attack at the hands of the NYPD. The nation, it seemed, had reached a racial boiling point, a fragile equilibrium where smoldering suspicion and anger could explode in unpredictable directions. 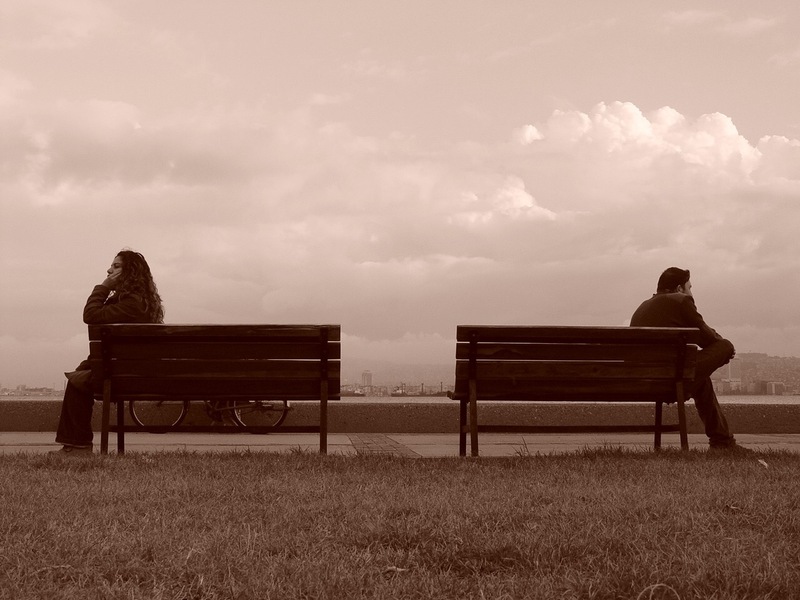 In many ways, these events felt to me like a friend’s relative had died. I myself was saddened and afraid; how much worse must the feeling be, I wondered, for my black friends and colleagues experiencing these spectacles in a much more personal way? I didn’t want to make the same mistake I did as a kid, to continue on and ignore it, to pretend that nothing had changed. Somehow, I wanted to acknowledge the obvious. I wanted to express my condolences. When did we all get so sensitive? The current movement is largely about emotional well-being. More than [political correctness], it presumes an extraordinary fragility of the collegiate psyche, and therefore elevates the goal of protecting students from psychological harm. The ultimate aim, it seems, is to turn campuses into “safe spaces” where young adults are shielded from words and ideas that make some uncomfortable. And more than the last, this movement seeks to punish anyone who interferes with that aim, even accidentally. You might call this impulse vindictive protectiveness. It is creating a culture in which everyone must think twice before speaking up, lest they face charges of insensitivity, aggression, or worse. The authors conclude that this environment could be contributing to higher rates of depression and other emotional disorders in young people. That seemed too big a leap for me to take at face value — really, I need someone with a psychiatry degree to weigh in on that one — but Lukianoff and Haidt’s other points are believable and powerful. The most frightening implication for me is that this cultural movement is at odds with what institutions of higher education are supposed to be: forums for free expression and the open search for truth in whatever form. I recently rode in my boss’s car for the first time, which was kind of a big deal. Somehow when you get in someone’s car, you’re invited into a uniquely personal space, and you’re able to get a glimpse into that person’s life that you probably wouldn’t have had access to otherwise. A car has its own smell, its own little dashboard ornaments, its own leftover Burger King cups. It’s the antithesis of the office, really, a place where we spend hours on end with our coworkers and yet never really seem to get to know them. So we get in, and on our drive to a conference a couple miles from my office, it turns out my boss is really into pop music. I’m talking about stuff on the radio right now, artists whose names I barely recognize and I presume only teenagers are fans of. Stuff that makes me feel old. He cranks up the volume and is literally dancing behind the wheel. 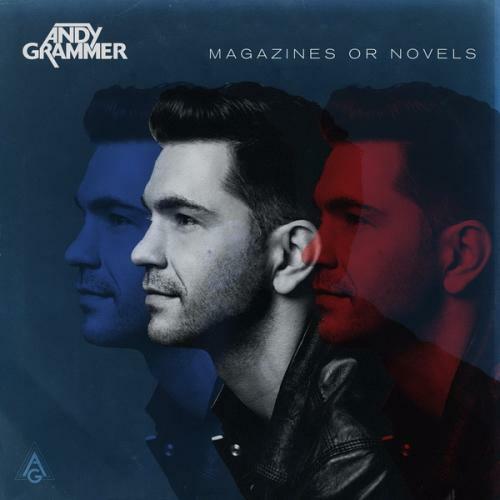 One of the first songs in his playlist, it turns out, is Andy Grammer’s Honey I’m Good. And there is my boss — a British guy deep into his 40s, whom I’ve never seen without a necktie, singing along delightfully, without missing a single word. Nah nah honey, I’m good, I could have another but I probably should not. And then a great epiphany hits me: Holy crap, Andy Grammer is blowing up. I’m probably one of the last people to recognize this, I realize. In fairness, Andy Grammer has been steadily making his way to the top for a while now. I kinda got that impression when, about a year ago when my wife and I were slumped on the couch half-watching the Bachelorette one evening, he randomly appeared on the screen and started serenading a couple of the show contestants. Why do I care about this? Well, the main thing is that Andy Grammer is a Baha’i, and his stardom now vaults him at least into the top two of famous Baha’is currently in showbiz, along with actor Rainn Wilson. 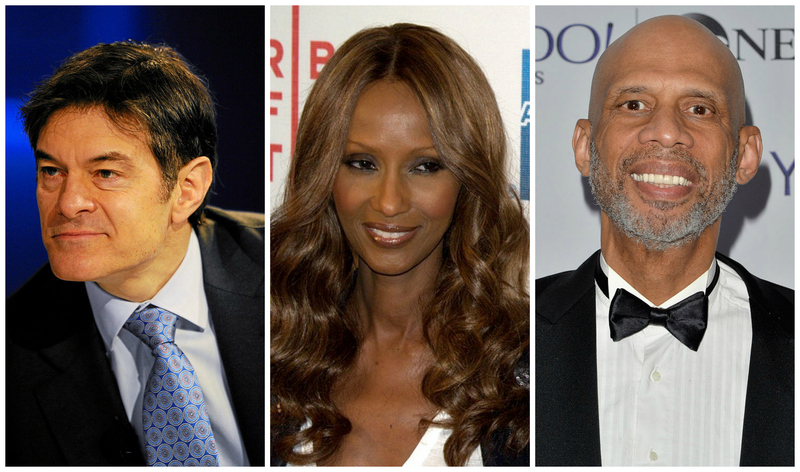 We Baha’is are few in number, but have nonetheless had our fair share of noteworthy artists and celebrities. Dizzy Gillespie, the jazz virtuoso and a much more deeply spiritual and complicated man than most appreciate, is the most famous name, of course, but he was a bit before my time. I do, however, remember Alex Rocco (better known as “Moe Green” to fans of the Godfather movies) emphatically exclaiming “Thank you, Baha’u’llah!” on national TV as he accepted an Emmy in 1990. For a kid already feeling the double-awkwardness of both puberty and a weird ethnic and religious background, it was a powerful moment. In the 1920s, tobacco companies sought to increase the number of women smokers. So for the Easter Sunday parade of 1929, a group of public relations and marketing experts hatched a brilliant plan on their behalf. They paid a group of young, attractive, fashionably-dressed women to march in the parade and, in unison, light up cigarettes. The women proudly exclaimed to the parade goers that they were smoking “torches of freedom“. Photos and stories of the women circulated wildly. Almost overnight, smoking had become a symbol of female independence and liberty. I learned about this historical event years ago when I was in grad school. But it recently came to mind once again, amid the debate about freedom of expression following the attack on a French satirical newspaper earlier this month. On the other hand, what I haven’t seen to this point, and what I personally am yearning for, is an intelligent discussion about not only our legal rights as citizens, but what it truly means to be “free” as a human being. And I think this is a discourse that religion, and especially the Baha’i Faith, can help move forward in a big way. The organization, which took the world by storm with the viral Kony 2012 video, announced that most of the staff – including Jason Russell, the only remaining founder – will stop working for the organization and that a small team of four individuals will work through 2015 to continue their lobbying efforts and formally hand over their Africa-based programs by the year’s end. In other words, the organization, which has been raising awareness and action on the Lord’s Resistance Army (LRA) and its leader Joseph Kony for the past 10 years, is slowly phasing out. For now, it appears Invisible Children won’t outlive the rebel group it was formed to stop. At the time that the Kony phenomenon was in full force, observers were conflicted as to now much good it would ultimately do. On the one hand, it raised the level of sympathy and understanding on the part of Westerners for humanitarian catastrophes in oft-ignored parts of the world. The US even sent 100 troops to Uganda during this time to help with the effort against Kony and the LRA, a commitment that arguably wouldn’t have been made without the massive public response to the Kony 2012 video. Treating awareness as a goal in and of itself risks compassion fatigue — most people only have so much time and energy to devote to far-away causes — and ultimately squanders political momentum that could be used to push for effective solutions. Actually stopping atrocities would require sustained effort, as well as significant dedication of time and resources that the U.S. is, at the moment, ill-prepared and unwilling to allocate. It would also require a decision on whether we are willing to risk American lives in places where we have no obvious political or economic interests, and just how much money it is appropriate to spend on humanitarian crises overseas when 3 out of 10 children in our nation’s capital live at or below the poverty line. The genuine difficulty of those questions can’t be eased by sharing a YouTube video or putting up posters. 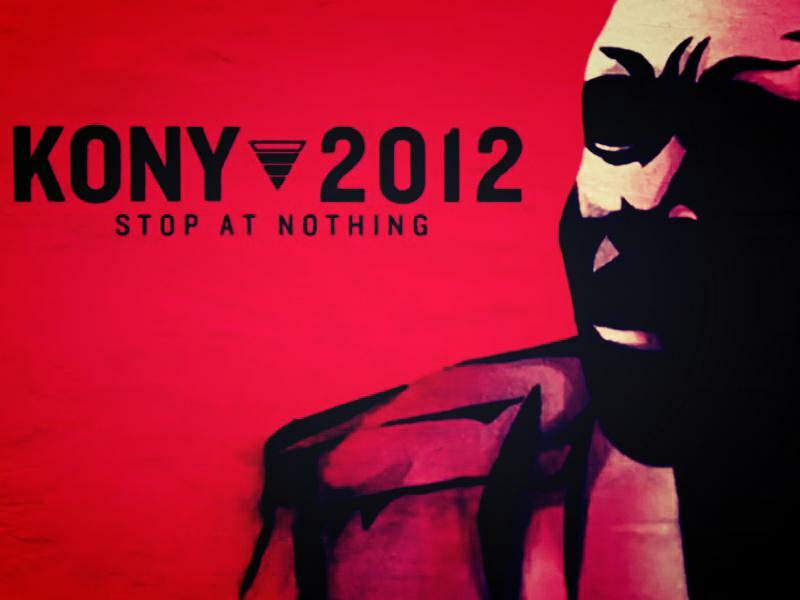 I myself don’t know how I should feel about the rise and fall of IC and the whole Joseph Kony thing. To me, the episode reminds us that even as our human race moves towards a new sense of global consciousness, awareness, and sympathy, we are still quite immature in how we express these newfound feelings. In other words, we still need to make the leap from awareness to actual sacrifice and action. Too often, our idea of social action and responsibility takes the form of easy, costless gestures of support for a particular cause, allowing us to move on with our lives under the comforting but false notion that our work is done. In that sense, I’m not sure if these types or movements are helping or hurting. I’m about halfway through through Daniel Kahneman’s Thinking Fast and Slow, which is more or less about how the human brain tends to think sometimes in quick, reactive ways, and other times in deliberate, calculated ways. Kahneman basically summarizes decades of research into how the human mind makes decisions, much of which he himself had a hand in. One of the more interesting passages from the book is about how the human brain handles fear and risk. The thoughtful, rational aspect of our thinking — what the author abbreviates as “Type II” — can, actuary-style, do all the calculations necessary to estimate the true level of danger that something presents, as well as comparing the probability and severity of different possibilities side-by-side. But when confronted by real-life dangers, we humans don’t commonly tend to think like this. In reality, risks are assessed and our fears governed by our reactive, intuitive “Type I” brain, which tends to overweight the danger from things that are “available”, or in other words visible, easily conceptualized, and at the forefront of our attention. This makes a lot of sense, given the inordinate amount of attention that we tend to pay on smaller risks that connect more easily to our emotions. I suppose the textbook example would be how we tend to fear plane crashes much more than car crashes, even though the former are much rarer and much less likely to kill us. But we could come up with countless other examples, I’m sure. The fact that human beings are irrationally fearful of certain relatively benign things over much more dangerous ones is bad enough. Think, for instance, of our society’s obsession with the risk of terrorism, which has killed roughly 3,000 Americans this century, in comparison to our comparatively lukewarm reaction to drunk driving, which kills about 10,000 every year. But this particular glitch in the way we think becomes much worse when it’s mixed with human selfishness and opportunism. One of the most memorable and funniest recent examples of this was a commercial for a home security system that aired a few years ago. In it, a single woman meets a seemingly nice man at a party, only for that man to break down her door minutes later in an apparent attempt to assault her. Her alarm system blares, and the would be assailant is scared away (phew!). I’m not sure which is funnier: the Saturday Night Live spoof, or the real thing. Sometimes, the urge to profit from natural human fears is even more nefarious. The existence of fear in whatever form can mean an opportunity for political influence, simply by cultivating and directing these fears towards an intended goal. Again, I could probably list tons of examples here, but I prefer to leave it to the reader’s own imagination (as well as the comments section). An availability cascade is a self-sustaining chain of events, which may start from media reports of a relatively minor event and lead up to public panic and large-scale government action. On some occasions, a media story about a risk catches the attention of a segment of the public, which becomes aroused and worried. This emotional reaction becomes a story in itself, prompting additional coverage in the media, which in turn produces greater concern and involvement. The cycle is sometimes sped along deliberately by “availability entrepreneurs,”, individuals or organizations who work to ensure a continuous flow of worrying news. The danger is increasingly exaggerated as the media compete for attention-grabbing headlines. Scientists and others who try to dampen the increasing fears and revulsion attract little attention, most of it hostile: anyone who claims that the danger is overstated is suspected of association with a “heinous cover-up”. The issue becomes politically important because it is on everyone’s mind, and the response of the political system is guided by the intensity of public sentiment. The availability cascade has now reset priorities. Other risks, and other ways that resources could be applied for the public good, all have faded into the background. How far the current state of affairs seems to be from Shoghi Effendi’s vision of a free but morally responsible press that will “cease to be mischievously manipulated by vested interests, whether private or public, and will be liberated from the influence of contending governments and peoples.” It’s not just human irrationality that is at issue here. The problem is also, in Kahneman’s words, the “availability entrepreneurs”, those who’ve discovered all the right buttons to push to translate fear into power, and seem to have no qualms about pushing them. There hasn’t been much blogging these days, for which I felt it necessary to issue an apology. The excuse I’ll use (for everything, really) is that my wife and I had our second child recently, and life has predictably been turned upside down. Things will normalize as far as this blog goes in due time, I promise. Having baby #2 has brought the expected burst of joy, with an entirely new set of challenges. The biggest is the predictable jealousy of our two-and-a-half year-old son for his new baby sister. We’re not too concerned, as everyone tells us this is normal. We actually see it as an opportunity for him to experience some healthy heartbreak and learn that he’s not the center of the universe. Nonetheless, for the time being he’s been an absolute menace, with lots of tantrums (the sight of mom nursing another baby is a usual source of emotional devastation). A lifesaver for our older one has been books, especially at night time. My wife is constantly on the prowl for good children’s books, and it’s a credit to her that our son is so fond of reading at such a young age. Consequently, I’ve become something of an expert on children’s literature, like most parents I suppose. Honestly, most of the genre is just crap, in my experience, though I understand that I’m not exactly the target audience. (After re-reading those “Mister” books for the first time in nearly three decades, for instance, I now fully believe them to have been written and illustrated by a 3rd grader during recess.) However, there are a couple of books in particular that are just superb at explaining complex social concepts to kids, including some economic themes that we adults routinely gloss over or fail to address entirely. It might seem corny to look to children’s books for economic wisdom, but “corny” has never stopped me on this blog before, so bear with me. 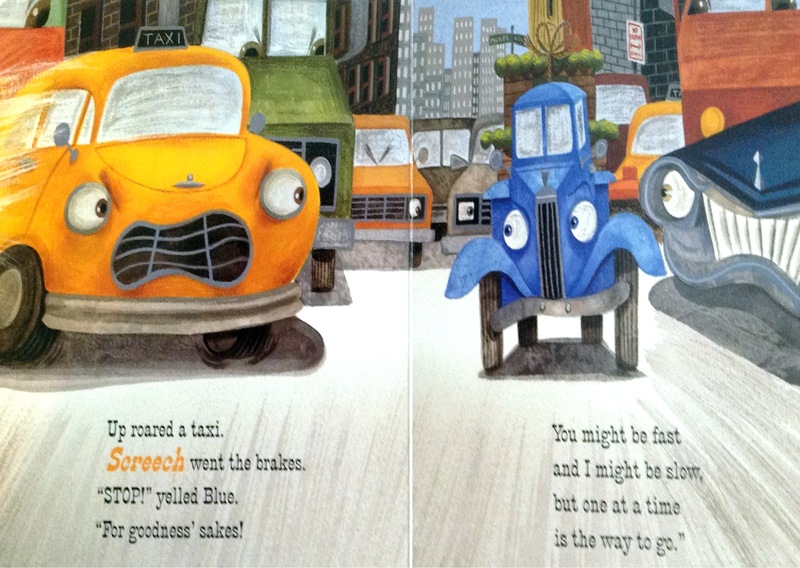 The first I’ll mention is Little Blue Truck Leads the Way by Alice Schertle. It tells the story of a little blue truck who ventures into the tall, fast city, only to find that all the other vehicles are in a terrible, aggressive rush. Everyone is so stressed and hurried that the city streets eventually grind to a halt, and no one can get anywhere. Finally, all the vehicles recognize the wisdom of the Little Blue Truck, who teaches everyone to wait patiently and form an orderly line, allowing others to go first. The beauty of this book is not just that it teaches kids to respect order and not barge ahead of others. It’s that it acknowledges the limits to the importance of economic efficiency. The problem with the big city, it seems, is not just that it’s chaotic, but that it’s miserable. All of the vehicles, in their scramble to get ahead, are stressed, angry, and frustrated. (Sounds like my morning commute into Manhattan.) When everyone slows down a bit, the city is able to relax and breathe, adding value to its residents’ lives in ways that can’t easily be measured. This is an important point that is lost on a lot of us adults; in our quest for efficiency and productivity, we sometimes unwittingly sacrifice subtle things that are vital for our own welfare. This is a point I’ve been thinking of writing about on this blog for a while now, but like a lot of things, it’s probably best left to art. The second book is Just So Thankful, by Mercer Mayer (from that “Critter” series that a lot of us became acquainted with as kids). It follows a kid who’s bummed out that his parents won’t buy him a particular toy, and who grows jealous of the new kid in school, “H.H.”, who’s super rich and seems to have every toy (as well as servants, a mansion, and a swimming pool). When H.H. 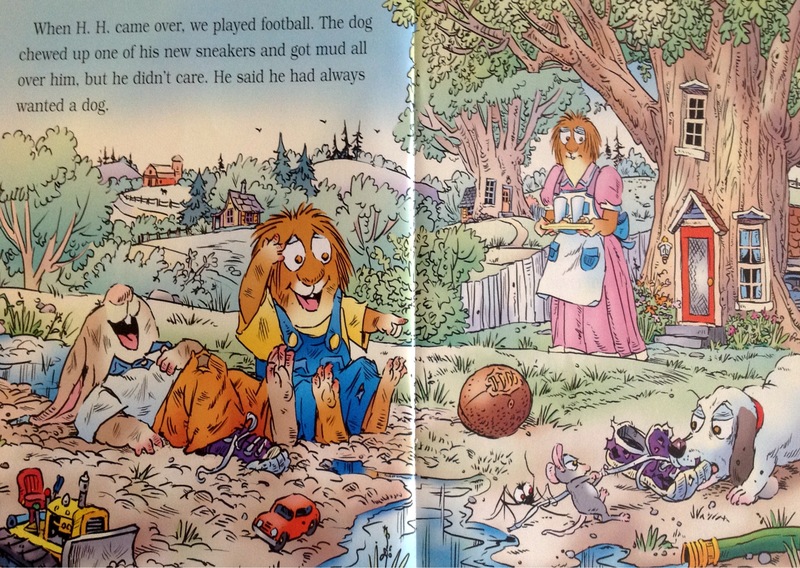 comes over to Critter’s modest house to play one day, the rich kid ends up having a blast enjoying the little things — helping out with dinner, playing with he family puppy, getting his shoes eaten up by the dog — and shows Critter how good he truly has it, despite the fact that his family isn’t rich. There is no shortage of art seeking to explain that material possessions aren’t what make us happy, that “the best things in life are free”. But this book does more than that, which is to emphasize that people of all economic backgrounds — rich, poor, whatever — derive happiness from the same things in life. H.H. arrives at Critter’s house with excitement about seemingly mundane but valuable things, like having a family cookout. Far from snobby about his wealth, we find when H.H. is stripped of his butler and cell phone and Super Streak Scooter, he’s just another normal kid who enjoys the same thing as everyone else. Anyway, those are my children’s book recommendations. If you’re a parent, you should get them for your kids. If not, you might still get them and read them on your own. Just think twice before doing so in public, because that might seem creepy. About as creepy as a grown man writing emotionally about children’s literature on an economics blog.